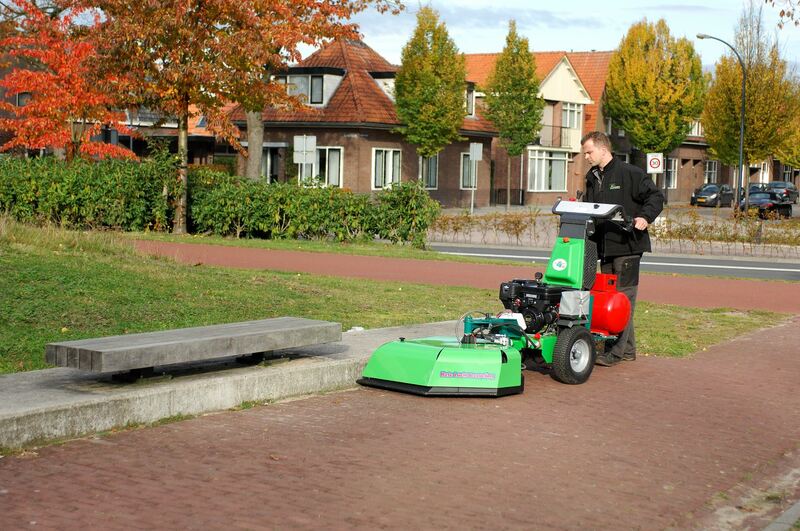 The AIR Combi Compact controls weeds on paved and semi-paved surfaces. Thanks to the adjustable airflow -with wide outflow opening- the air circulation can be set in a direction, now even the most difficult corners are easy to reach. 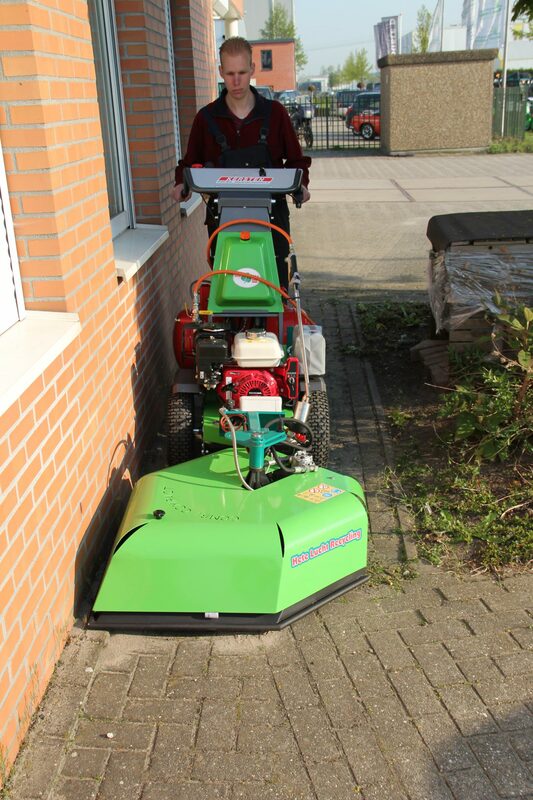 Ideal for small to medium sized areas. 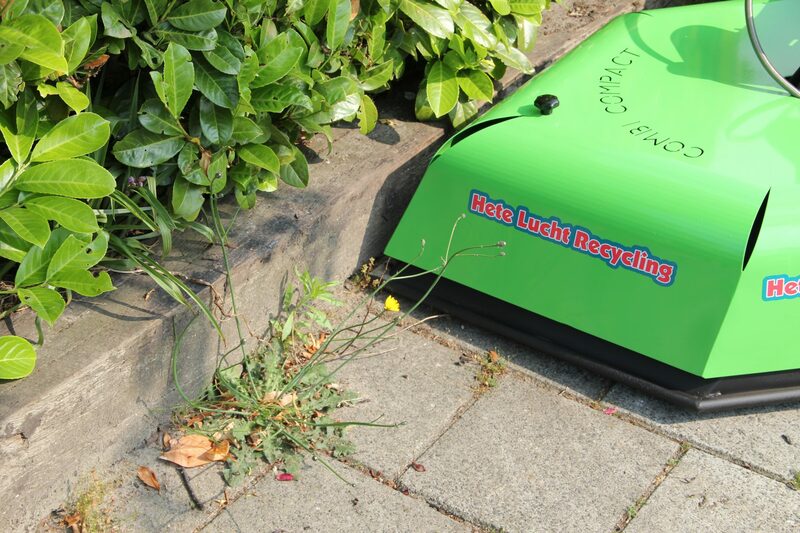 Due to the low height of the cap even weeds can be tackled under street furniture. The patented air recycling system ensures that 40% of the generated heat will be reused, which results in an unrivaled low gas consumption. 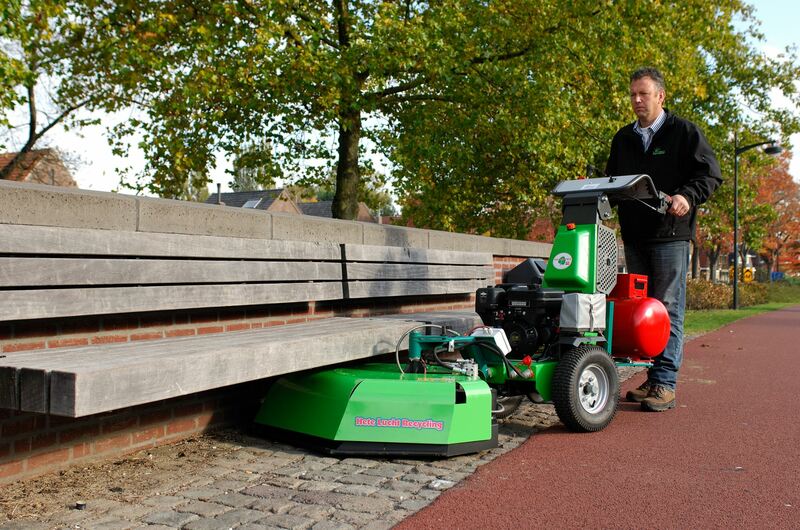 With the AIR Combi Compact, weed control is safe, ergonomic, effective and environmentally responsible.